MOSCOW (AP) — Russia is facing a heightened risk of being drawn into conflicts at its borders that have the potential of turning nuclear, the nation’s top military officer said Thursday. A steady decline in Russia’s conventional forces has prompted the Kremlin to rely increasingly on its nuclear deterrent. The nation’s military doctrine says it may use nuclear weapons to counter a nuclear attack on Russia or an ally, or a large-scale conventional attack that threatens Russia’s existence. Russia sees NATO’s expansion to include former Soviet republics and ex-members of the Soviet bloc in eastern and central Europe as a key threat to Russia’s security. Makarov specifically referred to NATO’s plans to offer membership to Georgia and Ukraine as potentially threatening Russia’s security. Russia routed Georgian forces in a brief August 2008 war over a separatist province of South Ossetia. Moscow later recognized South Ossettia and another breakaway Georgian province of Abkhazia as independent states and increased its military presence there. In its military doctrine, Russia has also described U.S. missile defense plans as another major security challenge, saying it could threaten its nuclear forces and undermine their deterrence potential. 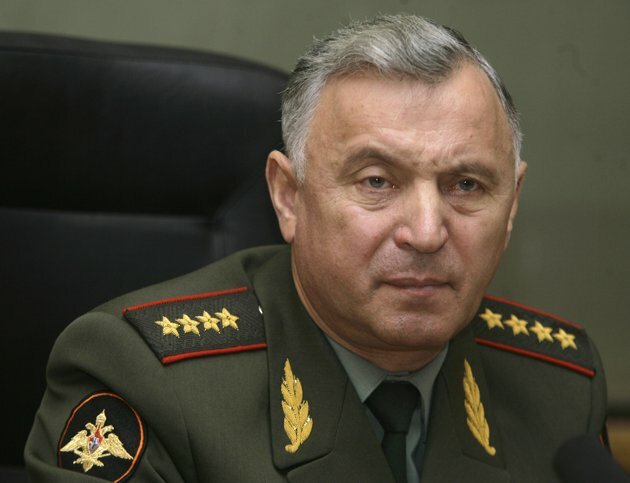 Makarov also said Russia is struggling to get enough recruits for the 1-million military, as the number of draftees has shrunk dramatically because of demographical changes. He said that the military is aiming to gradually increase the number of contract soldiers and eventually form an all-volunteer army. He didn’t mention a specific time frame. The statement marked a sharp change of course for the top military brass who previously insisted that Russia needs to maintain the highly unpopular draft because an all-volunteer military would be too costly.